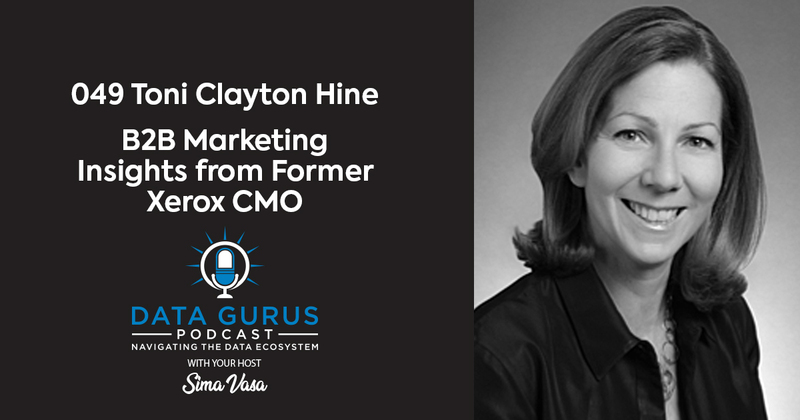 For 2019’s first episode, Toni Clayton Hine, B2B marketer and former CMO of Xerox Corporation joins Sima Vasa. 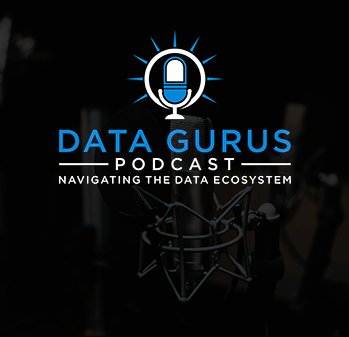 They discuss what it was like to market one of the most iconic brands in the world at a time when digital technologies were emerging and how data played a big role in defining their marketing agenda. Toni worked at Xerox for five years during a time when a lot of transformation was going on. The company was the prominent brand associated with print and copy, and Toni came into a division tasked to build out a new market. She became the CMO shortly after the company split in 2017. Toni says that even after the split, the agenda was the same for both sides, how do you take the best of the Xerox brand in the print element and show people how that is still relevant? In order to be relevant in a modern, digital way, Toni needed to change people’s perception of Xerox as a mere print and copy brand through advertising and other vehicles. To create the perfect story, she had to research the perception of the end customer. She approached the research by making sure her team gathered current customer perception and requirements. Additionally, they had to know how these differ by country, offering or market segment. Like any other endeavor, they faced a couple of challenges. These included the fact that they had the opportunity to ask people questions. Toni wanted to make sure that they weren’t skewing the way they asked their questions to get the answers they wanted. They also had to be really open to how they were perceived in a competitive landscape. On top of this, they had to make sure they had enough data points to slice and dice.